Chifeng (Chinese: ), also known as Ulanhad (Mongolian: (???????? ???) 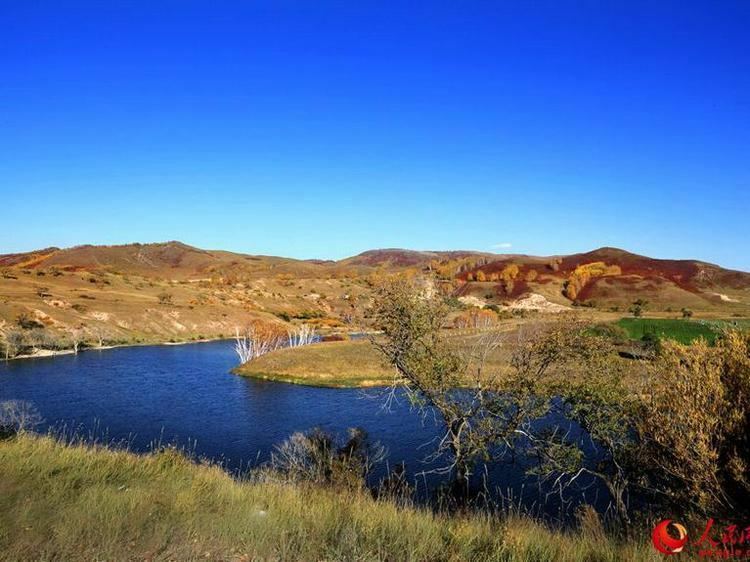 Ula?anqada qota , "red cliff"), is a prefecture-level city in southeastern Inner Mongolia, Peoples Republic of China. It borders Xilin Gol League to the north and west, Tongliao to the northeast, Chaoyang (Liaoning) to the southeast, and Chengde (Hebei) to the south. The city has a total administrative area of 90,275 square kilometres (34,855 sq mi) and has a population of 4,341,245 inhabitants. As of the 2010 census, 1,094,970 of these residents reside within in the urban districts of Hongshan, Yuanbaoshan and Songshan. However, a large part of Songshan is still rural and Yuanbaoshan is a de facto separate town 27 kilometers away from the core district of Chifeng. The city was the administrative centre of the defunct Ju Ud League (; ). According to archeology studies, human existence in the Chifeng area can be traced back almost ten thousand years, and the cultural history can be traced back nearly eight thousand years. 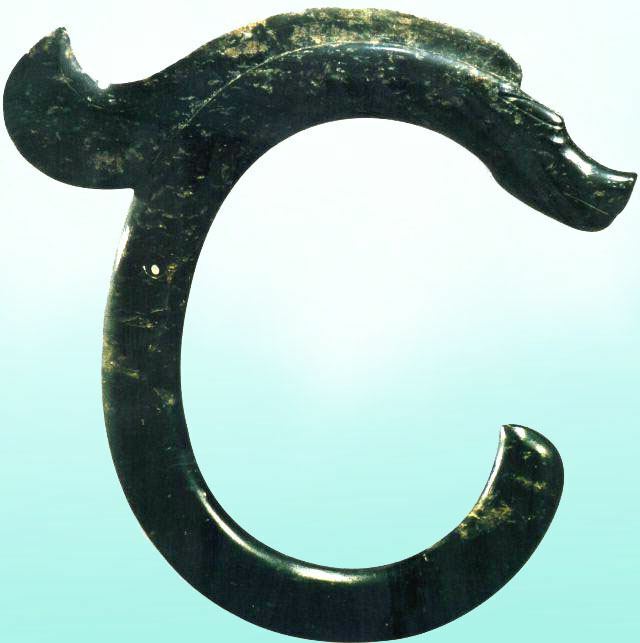 The representative ruins and relics of Hongshan Culture, Grassland Bronze Culture, Qindan Nationality-Liao Culture and Mongolian-Yuan Culture have been discovered in Chifeng. The ruins of an ancient village, named Xinglonggou, are regarded as “the first village of China” by historians. The biggest jade dragon unearthed in the area is known as “the first dragon of China”. The discovery of ruins and relics of ancient cultures have come from more than 6,800 sites. Named after Chifengs Hongshan District, Hongshan Culture was a Neolithic culture in northeastern China, whose sites have been found mainly in Chifeng, and dated from about 4700 to 2900 BC. Chifeng was the political, economic and cultural center of the Liao Dynasty, therefore, the amount of ruins and relics of the Liao Dynasty in Chifeng is ranked the most important in China. In Qing Dynasty, todays Chifeng region was under the administration of Ju Ud League, one of the six original Leagues in Inner Mongolia region. Mongolian Banners (county level regions) were organized into conventional assemblies at the league level. In republican era, Chifeng was under the administration of Rehe Province, along with parts of todays Liaoning and Hebei including Chaoyang and Chengde. After Mukden incident took place in 1931, Japanese pupped state Manchukuo was established in Hsinking(todays Jilin provincial capital Changchun), and Juud League was captured by Manchukuo in 1933. Chifeng was established the third largest city of Rehe Province after Chengde and Chaoyang, After the Operation August Storm, the Soviet-Mongolian Cavalry-Mechanized Group had entered Chifeng. After Rehe Province was defunct in 1955, Chifeng was put under the newly established Inner Mongolia Autonomous Region under CCP rule, whose provincial seat was previously at Ulanhot and transferred to Zhangjiakou and then Huhhot in the 1950s. In the 1970s, going by the name Juud League, Chifeng was under the administration of Liaoning province. After 1979, Chifeng was under Inner Mongolian rule, and Juud League was dissolved on October 10, 1983. Chifeng is situated along the upper reaches of the Xiliao River. Within its area are the southwesternmost extension of the Greater Khingan, the Inner Mongolia Plateau as well as the Xiliao River Plain, and finally the northernmost extent of the Yan Mountains. Bordering prefecture-level divisions are Tongliao to the northeast, Chaoyang (Liaoning) to the southeast, Chengde (Hebei) to the south, and the Xilingol League and to the west. From north to south Chifeng City stretches 457.5 km (284.3 mi), while from east to west it stretches 375 km (233 mi). Elevations decrease from a high of2,067 m (6,781 ft) in the west to less than 300 m (980 ft) in the east. During the period of “the 10th Five-Year Plan”, Chifeng conducted the strategy of “found the municipality by ecology, strengthen the municipality by industry, prosper the municipality by science and education”, by strengthening the development of resources, and seizing the historic opportunity of Western Development.